Good question! Let’s start by talking about rough grading (land grading) in general. Rough grading is the process of making a level or slope base for various projects, such as turf establishment, surface drainage, or gardens. Setting the proper grade and drainage is vital to prevent water damage to your yard and home. This can involve our grading equipment and laser technology, and sometimes we must bring in additional topsoil. We make sure that our grades meet any codes or regulations for your municipality, but the primary goal is proper drainage. If a rough grade is not shaped properly, it will result in serious drainage problems, and this can cause flooding. Standing water in your yard will destroy your lawn, but standing water around your foundation will destroy your home! You do not want water seeping into the house. We can correct drainage on already established yards and new construction sites to help keep a dry basement and protect your home and yard from water damage. After rough grading, the finish grading can begin. Finish grading is the adding or removing of soil to within 1 - 2 inches of the existing grade, creating the final contour and elevation of the ground needed to prepare your Central Ohio land for a sod base, hydroseed bed, or another specific plan. This process is foundational to a fine lawn, providing the final shaping and preparation for the seed bed or sod base. Our finish grading equipment is designed to remove extra rock and debris from the seedbed while pulverizing the soil, creating a smooth finish. 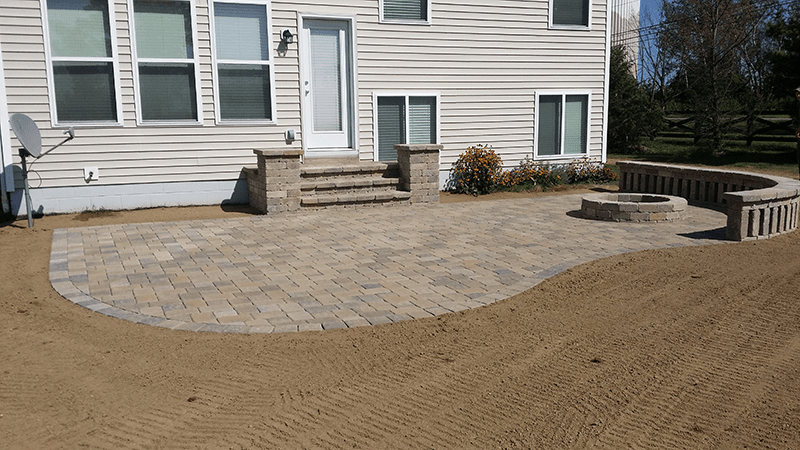 If you want accurate grading that will eliminate wet accumulation and send water away from the foundation of your home, contact Eastern Sky Landscaping. Whether it’s the Buckeye Country’s melting snow and ice, torrential rainfall, or excess moisture, Eastern Sky has got you covered with our expert finish grading services.